Hi! 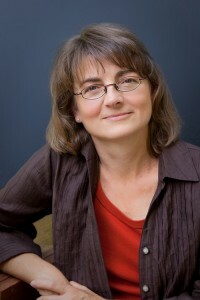 I’m Cindy Hudson, a freelance writer whose stories have appeared on the pages of national trade magazines, daily newspapers, local and regional publications as well as online forums. I am regularly quoted for articles on reading and family book clubs in major metropolitan newspapers and online sites, including The New York Times, Chicago Tribune, The Philadelphia Inquirer and CNN.com. For nearly 10 years I wrote weekly articles for The Oregonian, Portland’s major news publication and the Beaverton Leader, a publication of The Oregonian. I also often provided photos to go along with the stories I write. Visit the Writing Clips page to read a sampling of my stories as well as to see photos I have taken to go along with them. My articles on family literacy appear frequently in the pages of regional parenting magazines across the U.S. and in Canada. My work has appeared in MetroKids of Philadelphia, Calgary’s Child, Atlanta Parent, Wilmington Parent, NY Metro Parent, and others. Find a complete list on my Articles Available for Reprint page. 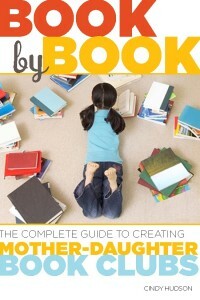 I am also the author of Book by Book: The Complete Guide to Creating Mother-Daughter Book Clubs, and I publish e-books aimed at helping book club members plan their meetings. Currently I offer 13 guides and three collections for book clubs that include a review of the book, an exclusive interview with the author, ideas for book-related activities, discussion questions and recipes. A complete list of the guides and e-books can be found at my Amazon author page. In other writing, Edible Portland and Louisiana Life published articles I wrote profiling locally prominent people. Find those and other articles on the Writing Clips page. Visit my Editing page for more information. Originally from Brusly, Louisiana, my home is now in Portland, Oregon, where I live with my husband and two daughters. You’ll see links on this website to my other passion, mother-daughter book clubs. Just click on the appropriate tab to find out more. Please contact me by email with any questions: cindy@cindyhudson(dot)com. You talked about your mom having a place to pick pecans. I am looking for somewhere I can go pick pecans myself. I live in Louisiana, but can not find a place to pick them. Apparently no one advertises this. Does your mom happen to know of any places we could go? I would be very thankful if you would ask her. I could even pick extra for her!